To Set the Standard for Patient-Centered Quality Healthcare. 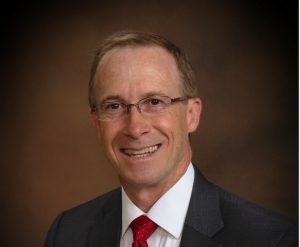 Dr. Ronald Robinson is the new Chief Executive Officer for Rawlins County Health Center and Goodland Regional Medical Center, as well as the CEO for the northwest Kansas rural health network which also includes Logan County Health Services. Dr. Robinson will also serve as the Chief Medical Officer for both the Goodland and Rawlins County hospitals. Beyond his medical degree, Dr. Robinson also holds a Master of Public Health and a Master of Business Administration. He is board certified in both anesthesiology and aerospace physiology and has served as a flight surgeon at NASA as well as a medical officer in the Air National Guard and the U.S. Navy, where he still serves as a Lieutenant Commander. Dr. Robinson’s additional interests are Brazilian Jiu-Jitsu purple belt, Olympic powerlifting, Rescue SCUBA diver, and Commercial pilot. If you have any questions or comments, please feel free to contact Ron via email: ronaldrobinson@centura.org. Rawlins County Hospital began as an idea that originated in the Atwood Rotary Club through the untiring efforts of Dr. C.E. Henneberger, M.D. The facility opened in 1950 as Rawlins County Hospital. The hospital was leased to and operated by the Sisters of St. Joseph until 1969 when Rawlins County Hospital, Inc., a private, non-profit corporation was formed for the purpose of leasing and operating the hospital.